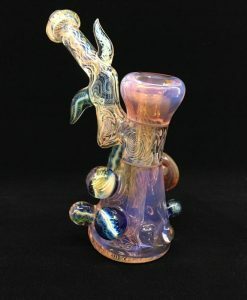 This Oil Rig features a fully custom Teenage Mutant Ninja Turtles themed design. 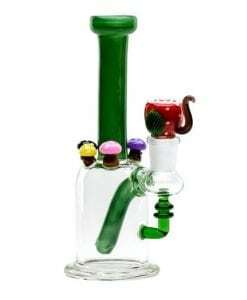 This Empire Glassworks Teenage Turtles Rig features a fully custom Teenage Mutant Ninja Turtles themed design with a Ninja Turtle sculpture on top of a honeycomb disc perc. 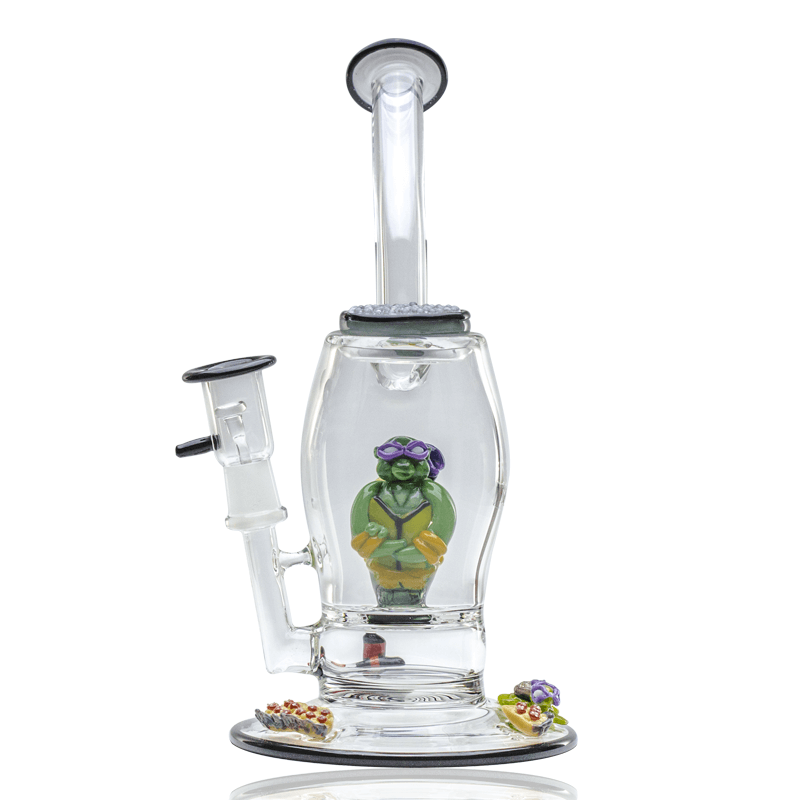 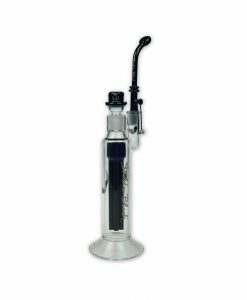 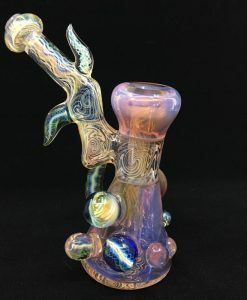 This oil rig is decorated with pizza on the base and is made from thick borosilicate glass tubing! 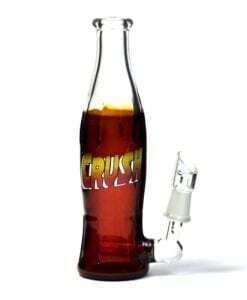 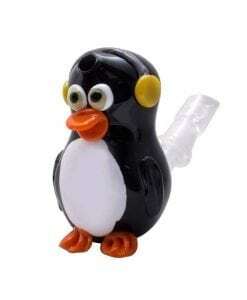 Comes complete with a 14F vapor dome.